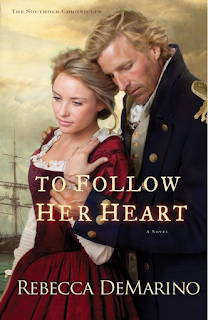 I’m pleased to sit down with Rebecca DeMarino to discuss her latest book To Follow Her Heart. 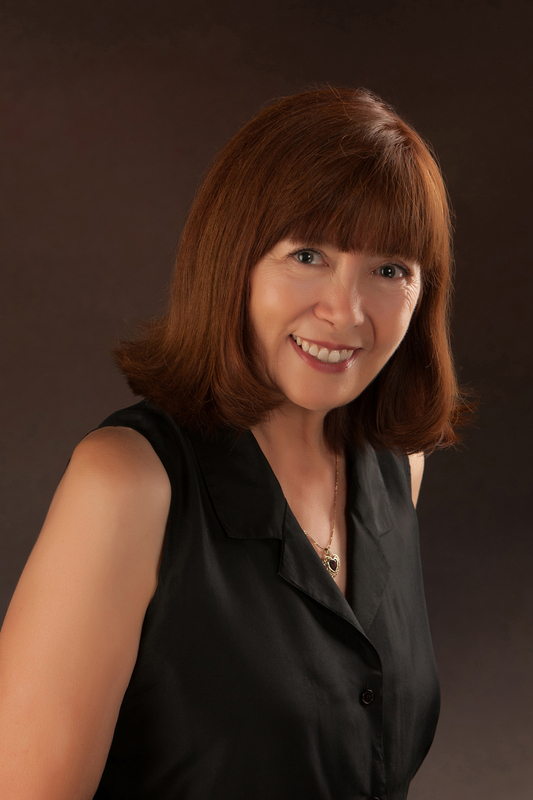 Join us and get to know this delightful author. Linda: Your bio talks about the impact of stories on your life. When did you know you wanted to pursue publication? Rebecca: When I was in high school I loved to read novels, and I always was intrigued with the idea of writing one myself. At my ten year high school reunion I was still harboring that idea because I submitted to the questionnaire “five-year plan: become a published author.” Well, I didn’t make the five years by a long shot—mostly because I really didn’t know what I wanted to write. But God knew my heart and He is faithful. His timing was not my own. And I discovered what I wanted to write on a trip with my mother, many years later. LM: Congratulations on publishing your latest novel. I love that the inspiration came from your family history. Do you have lots of family documents? Tell us about your research. Rebecca: I have documentation through birth and death certificates of my family line on my mother’s side through the Revolutionary War, but my story is based on my ninth great-grandparents, Barnabas and Mary Horton, and the stories from the 1600’s were passed down through oral tradition. What was very exciting was to find documents that supported those stories at the historical society and courthouses on Long Island and Connecticut. The house that Barnabas built in Southold, L.I., remained standing through the mid-eighteen hundreds. Rebecca: I made numerous trips back to Southold while researching the Southold Chronicles series. On one trip, I walked from the site of the Horton home near the south side of the north fork to the bluff that overlooks Long Island Sound on the north shore. Barnabas owned that land and it is now the location of the lighthouse named after him. I wanted to walk in the footsteps of my ancestors. Another trip was to the Alice Ross Hearth Studio in Smithtown, L.I., where I had an all-day cooking lesson in 17th century hearth cooking and baking by Alice. It actually started the night before, illustrating how women in those days literally worked from sun up to sun down. LM: The age old question for writers—are you a pantster or a plotter? LM: You have traveled extensively. Where is your favorite place? Rebecca: Well, Long Island and England are two of my very favorite places. I’ve been thrilled to make many research trips to places that have so much history and are quite lovely to visit. And I love the family connection—I’ve never lived in either place, but feel my roots there nonetheless. A place I have lived and love is Virginia. The beauty of the countryside and the history found there overwhelms me whenever I go back. I recently had the opportunity to spend a week at James Madison’s Montpelier participating in an archaeological dig. It reminded me once again how beautiful Virginia is! There is a 200-acre landmark forest on the plantation that has been pretty much untouched is the 1790’s! Rebecca: I’ve just completed a manuscript—it is a departure from the Hortons and the 17th century, though it is still a historical romance which I love! Rebecca: I love to travel and I’m retired from United Airlines, so I have the opportunity! I enjoy gardening and baking—which my mother enjoyed as well and I like to think it came down through those Horton genes :o) And family and genealogy remain a passion of mine! Rebecca: My faith in God and my relationship with Christ are important to me. I feel blessed to have had the opportunity to write my stories and have them published in a way that reaches thousands of readers. I also feel blessed by my connection to my heritage. This past year, through my genealogy research on my father’s side of the family, I was amazed to discover that the Worley family came over from England in the 1600’s too. The Hortons were Puritans and the Worleys were of the Quaker faith and came over the pond about the same time as William Penn! I haven’t seen the documentation yet, but there are those who suggest it was on the same ship. I have visited the Pusey-Worley stone house in Chester, PA, built by my eighth great-grandfather’s stepfather and now a museum. And yes, I see a good novel there—fiction is how history comes alive for me! Thank you so much—it’s been fun spending time with you! I didn't get a chance to read her new book before interviewing her. I can't wait!